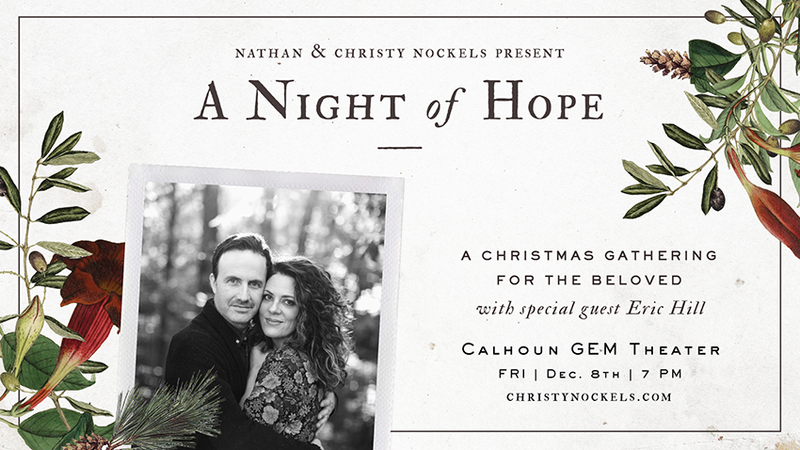 We invite you to come and join Nathan & Christy Nockels in Calhoun, GA on Friday, December 8, 2017 for "A Night of Hope" at the Calhoun GEM Theatre. This is an event that you don't want to miss! The live-concert venue offers an intimate worship experience with a limited 460 seats. Tickets are selling fast. Place your order online now. We look forward to seeing you there. © 2019 ShowClix on behalf of Strickland Productions. All sales are final. Tickets are non-refundable.